Best Meat Slicer for Jerky: It Depends On Batch Size! I have spent quite a bit of time looking for great a jerky slicer and have come to the conclusion that what you need really depends upon your batch size. Why does batch size matter? When you are slicing meat for jerky you want something that is simple to use, produces consistent slices and is easy to clean. Jerky boards and electric meat slicers are both simple to use but consistency and ease of cleaning come into play as the batch size changes. I typically make jerky in batches of 2-5 pounds. 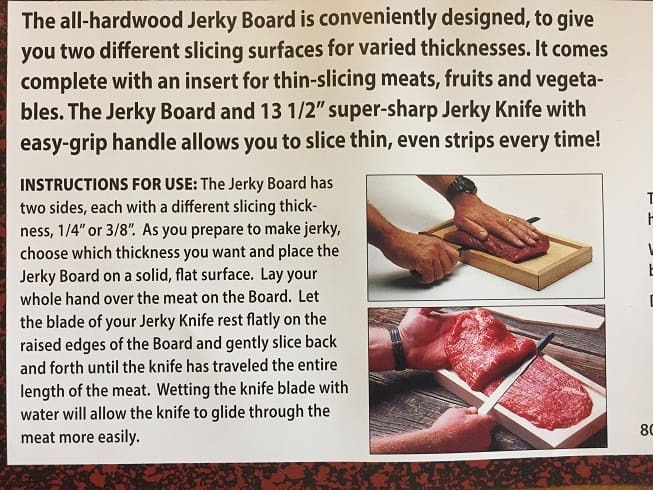 When I use a jerky board I can slice up 5 pounds of beef in about ten minutes. Cleaning the jerky board takes two minutes of washing in hot soapy water. Total Time = 12 minutes. When I use an electric meat slicer I can slice up 5 pounds of beef in about five minutes. Cleaning the meat slicer takes me about fifteen minutes since I have to take everything apart, wash the blade, wipe the meat juicer off of the entire slicer and reassemble everything. Total Time = 20 minutes. For small batches of jerky it is much faster to use a jerky board than an electric slicer. 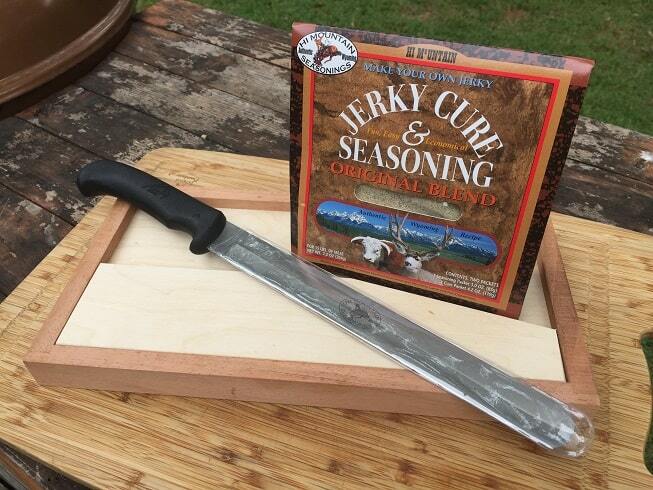 Although jerky boards have the advantage in small batches the tide turns the more you slice. When I slice 5 pounds of meat using a jerky board my final slices are not as pretty as my initial slices. My arm gets a little tired and my attention starts to wander. If I was going to make a 10 pound batch of jerky i would go straight to an electric slicer in a heart beat. The total time (slicing plus cleaning) would be identical between the two options and I would get much more consistent slices across the entire batch using an electric slicer. Which Electric Slicer is the Best? I went with the Chef’s Choice 7 inch slicer. 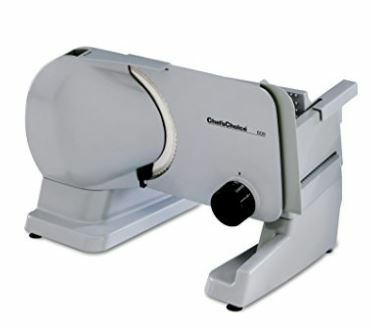 The Chef’s Choice 7 inch electric meat slicer is easy to use, easy to clean and, at under $100, is very affordable. There are tons of reviews for this slicer and it has proven that it holds up well. Before you buy an electric slicer make sure you have adequate storage space. I actually gave my slicer away to a friend because I only used it three or four times a year and I was running out of cabinet space. 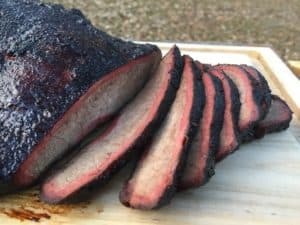 Which Jerky Board is the Best? I bought the Jerky Kit from Hi Mountain and really like it. The Hi Mountain Jerky Kit comes with a jerky board, a nice meat slicer and enough cure and seasoning for 15 pounds of meat. You also get a wood insert that you use to protect your non-cutting hand when you get down to the final few cuts on your meat. If you are doing some gift shopping then the Hi Mountain Jerky Kit would make an excellent present. 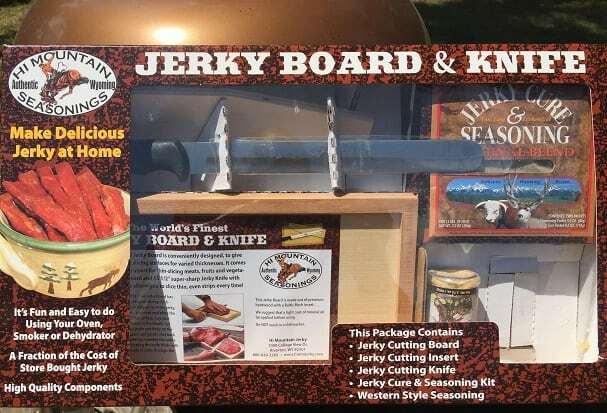 If you don’t want the seasonings then the board and knife set from The JerkySpot would be an excellent choice. As far as the actual board and slicing knife both of these options are pretty much identical. Again, when you get down to your final slices use the wood insert to protect your hand. Here is a quick, two minute, video showing you the basics of using a jerky board. Mark, your best bet for that would be the electric deli slicer as that has an adjustable thickness setting. Good luck!